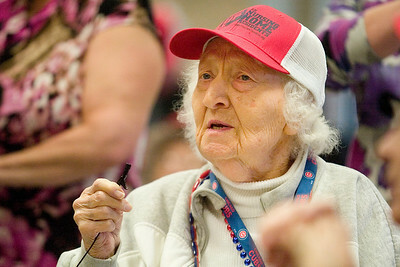 Mike Greene - mgreene@shawmedia.com Betty Tuft, of Johnsburg, sings "Take Me Out to the Ballgame" during a rally against proposed cuts to state nursing homes Sunday, April 29, 2012 at Valley Hi Nursing and Rehab in Woodstock. 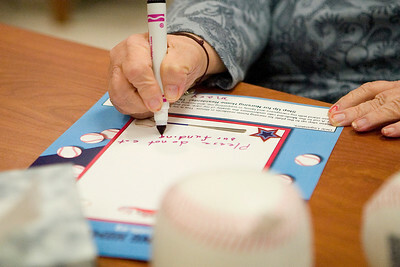 The baseball-themed rally included speakers from the Health Care Council of Illinois and the Illinois Council of Long Term Care. 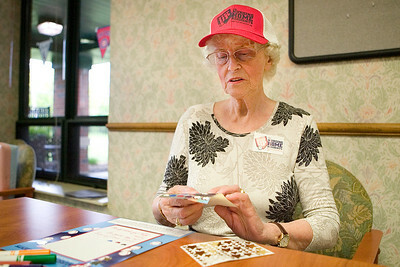 Mike Greene - mgreene@shawmedia.com Elsje Starrenburg, of Holland, works on decorating a mailer requesting support for nursing homes Sunday, April 29, 2012 at Valley Hi Nursing and Rehab in Woodstock. 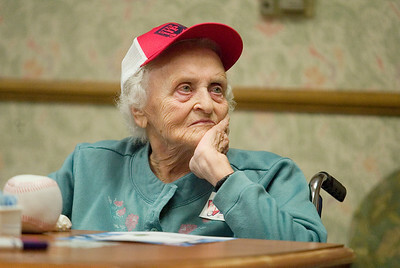 Recent proposals to cut funding at state nursing homes threatens to displace a number of residents at the homes. 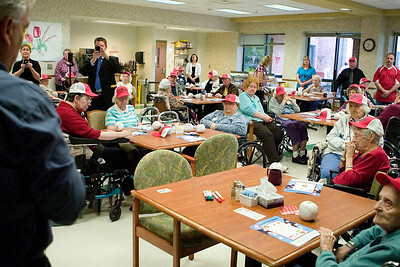 Mike Greene - mgreene@shawmedia.com Residents of Valley Hi Nursing and Rehab listen as State Representative Jack Franks, speaks about proposed cuts to funding to stat nursing homes Sunday, April 29, 2012 in Woodstock. Mike Greene - mgreene@shawmedia.com Mary Koltz, of Harvard, writes a message to state legislators not to cut nursing home funding during a rally at Valley Hi Nursing and Rehab Sunday, April 29, 2012 in Woodstock. Mike Greene - mgreene@shawmedia.com Mary Verdung, of Cary, listens as State Representative Jack Franks speaks during a rally against proposed cuts to nursing home funding Sunday, April 29, 2012 at Valley Hi Nursing and Rehab in Woodstock. 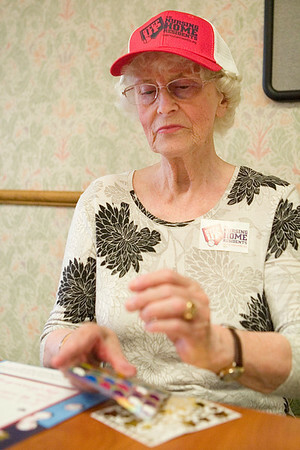 Mary Koltz, of Harvard, writes a message to state legislators not to cut nursing home funding during a rally at Valley Hi Nursing and Rehab Sunday, April 29, 2012 in Woodstock.